The Caramella charms feature the beautiful colors of Murano glass over a base of white, accented with Swarovski Crystals and hung from sterling silver components. 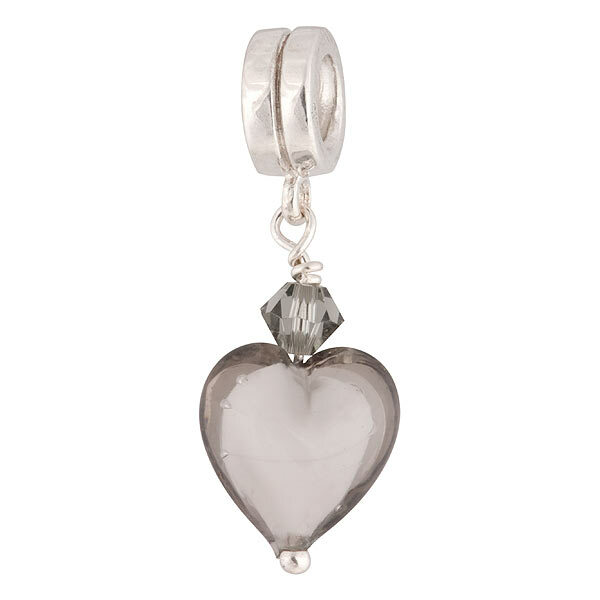 The gray glass on this charm accentuates many of our PERLAVITA sterling and Murano glass beads. Compatible with PERLAVITA jewelry as well as Pandora and Chamilia beads and charms.